Whenever Batman’s adventures take him into the depths of Gotham Harbor or any major ocean, he’s forced to reach into his utility belt and whip out his rebreather. Giving him the ability to breathe under water once fastened to his mouth, this tiny gadget has proven vital to the Dark Detective’s wetter stories. The rebreather can either be a simple moth component or part of a larger scuba suit which he often employs when he’s forced to go even deeper into the water. 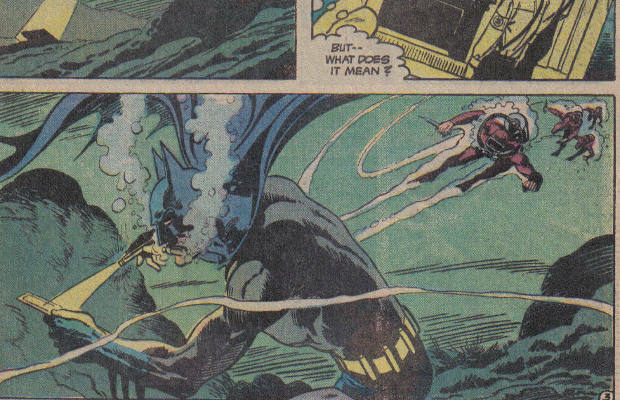 Contemporaries like Aquaman and Superman might be able to survive under water on their own, but Batman’s rebreather evens the playing field just a bit.